Daily evening tours departing at 5pm or 7pm depending on booking agent. Christmas to see the festive lights including the magnificent light show at the casino! We are comparing Lights of Monaco and Monte Carlo Evening Tour Prices from leading ticket suppliers and Try to find you Cheap tickets prices on the market. The French Riviera is beautiful in the daytime but looks truly magical lit up at night with romance in the air and a vibrant atmosphere as the rich and famous head out for a night on the town! From Vista Palace in the hillside village of Eze the sprawling lights of Monaco can be admired. Monaco is the 2nd smallest country in the world that's well known and loved for its favorable income tax policy and the Formula One Grand Prix race track. The Cathedral is where Grace Kelly married Prince Rainier III and is her final resting place with many people visiting to pay their respects. Monte Carlo is home to the world-famous Casino, Cafe de Paris located on Casino Square, and the stunning Salle Garnier Opera House. A sightseeing tour with a difference due to it being a nighttime tour - Have the opportunity to see the French Riviera in a whole different light! Great for people who want to admire the views and who are looking for something fun and interesting to do in the evening. This tour is mostly a driven-tour with a short amount of free time for visiting the casino and other sights. It is not a guided walking tour. Information is provided by your guide as you drive between destinations. Your Experience With Lights of Monaco and Monte Carlo Evening Tour? You will be collected from your central Nice hotel and transported, along with other participants, by minibus along the coastal ride to the hillside village of Eze where you can admire the sprawling lights of Monaco from your viewpoint at the Vista Palace. Your driver will then take you down into Monaco where you'll be able to see the Prince Palace, the Old Town, and the Cathedral along with the changing of the guards. Next you'll go to Monte Carlo and be able to boast to friends and family that you went on the F1 Grand Prix race track! See the iconic Golden Square in all its nighttime splendour and visit the Casino, or if gambling isn't your style, enjoy a drink in the famous Cafe de Paris or a moonlight walk in the Monte Carlo Casino Square Gardens. Throughout the journey your friendly guide will keep you entertained and informed, sharing the history of Monaco and Monte Carlo and offering up tips on where to go and what to see on the rest of your visit in Nice and the French Riviera. What Lights of Monaco and Monte Carlo Evening Tour Includes? Hotel collection and drop-off from central Nice hotels. 5 hour evening driving tour with multilingual driver/guide in a luxury air-conditioned minibus. Short amount of free time to see the sights of Monaco and Monte Carlo at night. Small groups, maximum of 8 participants. Monaco Lights from the Vista Palace in Eze. Monaco Old Town - Cathedral and Prince Palace. Monte Carlo Casino, Casino Square, and Casino Square Gardens. To visit Monte Carlo Casino you must be aged 21+ and have a valid passport with you. The entrance fee is €17 and not included in the trip price. 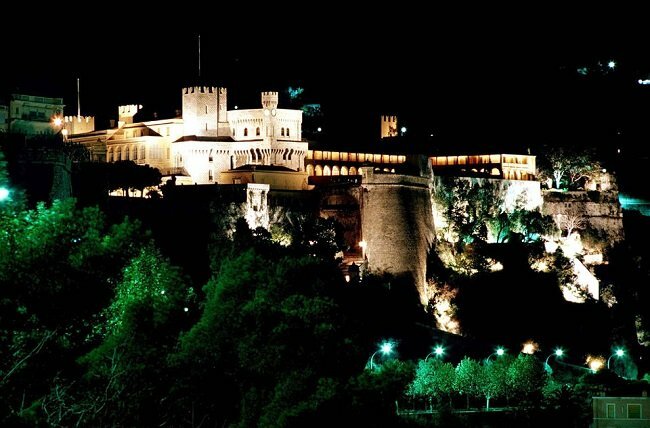 Travelers Reviews about Lights of Monaco and Monte Carlo Evening Tour? Travelers talking about this tour on GetYourGuide give it high reviews saying that they had a great evening seeing Monaco and Monte Carlo at night and that their driver/guide was superb - Friendly and informative and going out of their way to make sure people had a good trip. They have described this evening trip with the following phrases: "Everything was fantastic from pickup to drop off." They say that the transport is comfortable and that they learned a lot and saw a lot, though more time was needed to be able to properly explore both places. Take a jacket and a drink/snack for the journey. Trousers are required after 8 pm in the Monte Carlo casino. Hotel collection or Central Nice meeting point.